Maurice Alexander is trading the rain for the snow. On Friday, the former Seahawks safety inked a free agent deal with the Bills. It’s a one-year pact worth $1.375MM, according to ESPN.com’s Mike Rodak (Twitter link). Interestingly, the Bills’ press release on Alexander lists him as a linebacker as opposed to a safety. That could be an indication that Alexander is slotted to be the backup weakside linebacker behind Matt Milano, if he is able to edge Corey Thompson for a roster spot. Ultimately, Alexander’s primary role may come on special teams, but time will tell. Alexander, 28, started at strong safety and free safety for the Rams in 2016 and ’17. His best season came at strong safety in ’16 when he registered 50 tackles, four pass breakups, two interceptions, and a sack. The Seahawks have signed safety Maurice Alexander, a source tells Ian Rapoport of NFL.com (on Twitter). The former Rams safety will help fill the void after Earl Thomas was placed on IR. Alexander, 27, started 14 games for the Rams in 2016 and started four contests for the club last year. The former fourth-round pick wasn’t playing all that well, however, as Pro Football Focus graded Alexander as a bottom-10 safety in 2016. But Alexander offers both youth and experience, and could become a valuable reserve for the Seahawks. For now, the Seahawks are expected to move forward with Tedric Thompson as Thomas’ replacement in the starting lineup. He joins Tre Flowers, Bradley McDougald, and Shaquill Griffin in a secondary that is talented, but not Legion Of Boom-level great. If he’s active on Sunday, Alexander’s first contest will come against the Rams. Currently at 2-2, the Seahawks will look to hand the Rams their first loss of 2018. 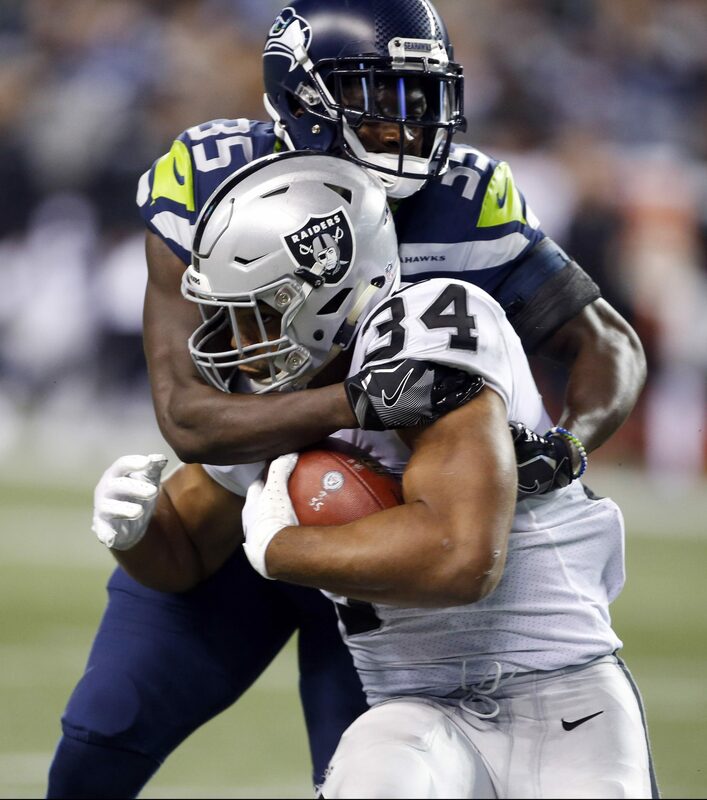 The Seahawks have signed safety Maurice Alexander, passes along Bob Condotta of the Seattle Times (via Twitter). The defensive back was released by the Rams last October and subsequently met with Seattle. While he didn’t ink a deal back then, the two have agreed to deal this time around. The 27-year-old had spent his entire four-year career with the Rams organization. Following a career season in 2016 that saw him compile 38 tackles, one sack, and two interceptions, the former fourth-rounder took a drastic step back in 2017. Alexander finished the campaign with 13 tackles in four games (four starts). He was ultimately released by the organization in October, and he sat out for the remainder of the season. As he continues to deal with a neck injury, Seahawks defensive end Cliff Avril has sought multiple medical opinions and is visiting another doctor today, tweets Mike Garafolo of NFL.com. Head coach Pete Carroll originally indicated Avril would be sidelined “awhile” with a stinger and numbness in his arm, but subsequent reports have expressed concern about the future of Avril’s career. While Seattle has the defensive line depth to withstand a Avril absence (Frank Clark, Marcus Smith), his absence will certainly be felt, and doubts about his ability to continue playing are certainly worrisome. Left guard Luke Joeckel is expected to miss four-to-five weeks after undergoing knee surgery during the Seahawks’ bye week, reports Bob Condotta of the Seattle Times (Twitter link). Joeckel, who signed a one-year, $8MM contract this spring, has played every snap at left guard for Seattle this season. Perhaps unsurprisingly given his track record with the Jaguars, Joeckel had struggled — along with the rest of the Seahawks’ offensive line — through five games, grading as the No. 44 guard among 75 qualifiers, per Pro Football Focus. Mark Glowinski and rookie Ethan Pocic will now compete to replace Joeckel, per Condotta. Free agent safety Maurice Alexander is visiting with the Seahawks this week, as Condotta writes in a full piece. Seattle should be relatively familiar with Alexander, as he’d spent the entirety of his four-year NFL career with the Rams. Alexander, who has also auditioned for the Jets and Cardinals since being waived last week, offers valuable experience (18 starts over the past season-plus), but he’d seemingly be overkill in Seattle. The Seahawks already boast two of the NFL’s best safeties in Earl Thomas and Kam Chancellor, plus veteran Bradley McDougald and rookies Delano Hill and Tedric Thompson in reserve. If recent history is any indication, Seahawks defenders Dion Jordan and DeShawn Shead likely won’t return to the field for three more weeks, opines Brady Henderson of ESPN.com. Both Jordan, a defensive end, and Shead, a cornerback, are allowed to resume practicing today, but neither player is ready to roll just yet. Once they are, Seattle will get a three-week window during which Jordan and/or Shead can be added to the 53-man roster. Jordan is currently on the non-football injury list, while Shead is on the physically unable to perform list. As Henderson notes, the Seahawks have typically given their players ample practice time before activating them. The Jets worked out free agent safety Maurice Alexander this week, according to Ian Rapoport of NFL.com (Twitter link). Alexander was waived by the Rams on Monday. New York is currently deploying two rookies — Jamal Adams and Marcus Maye — at safety, and both have performed surprisingly well through five games. Terrence Brooks and Rontez Miles are currently the Jets’ backup defensive backs, and both have played on fewer than 60 defensive snaps. Both Brooks and Miles have been contributors on special teams, however, and both have seen action on at least a quarter of New York’s ST plays (Brooks, notably, is second to only linebacker Julian Stanford in Jets special teams snaps). Alexander, 26, started 14 games for Los Angeles in 2016 and had started four contests for the club this season. The former fourth-round pick wasn’t playing all that well, however, as Pro Football Focus had graded Alexander as a bottom-10 safety in 2016. But Alexander offers both youth and experience, and could potentially become a valuable reserve for the Jets if signed. 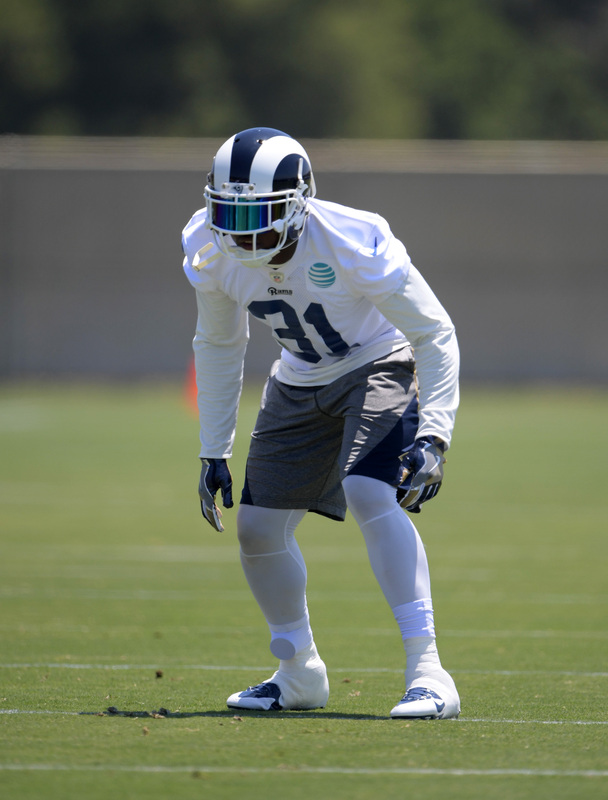 The Rams have waived safety Maurice Alexander in order to clear a roster spot for wide receiver Mike Thomas, the club announced today. Alexander, 26, started 14 games for Los Angeles in 2016 and had started four games for the club this season. The former fourth-round pick wasn’t playing all that well, however, as Pro Football Focus had graded Alexander as a bottom-10 safety in 2016. Alexander’s release is simply performance-based, according to Alden Gonzalez of ESPN.com, who reports the Rams want to see more from young players Josh Johnson, Cody Davis, Blake Countess, Marqui Christian, and Isaiah Johnson. Thomas, a sixth-round pick in the 2016 draft, was suspended four games for violating the league’s PED policy. A favorite of many in the draft community, Thomas managed only three receptions in 15 games during his rookie campaign, but also contributed on special teams. He joins a wide receiver group that also includes Sammy Watkins, Robert Woods, Cooper Kupp, and Tavon Austin.